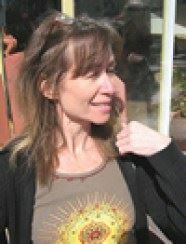 Anita is a metaphysician and spiritual healer who is dedicated to liberation from a programmed existence of limitation, struggle, and aging. Her work touches on all aspects of being-- physical, emotional, mental, and spiritual. I have been working as a healer since 2000, following a life crisis that had me exploring the depth of the psyche. What struck me through the work with hundreds of clients in those early years was how similar were the dysfunctions at cause of physical disease and emotional dysfunction. Clients' inner 'private' world was very predictable and similar patterns of thinking was observed in all. And this began my unrelenting search for effective tools that could cut through the endless layers of programming and psychological impasses. Through training in several dozens of modalities over years, I would invariably hit a wall in the effectiveness of each of these techniques. I wanted to understand why this was....And this spurred me to develop my own modality--the Inner Mastery Tools, which I did over a period of 7 years, and began to teach through online healing programs from about 2004 to 2012. All the while, my search refined to the quest for higher hormones that would bring 'dignity' to our lives, and liberate the body to its true function: as a vehicle of higher consciousness capable of manifesting life outside the law of compensation. Of the modalities studied, I kept Rapid Eye Therapy, Energy psychology, German New Medicine, NLP techniques, and Parts Therapy, and got my diploma in acupuncture, instinctively knowing that higher hormones were to be found in healing the psyche and clearing/activating the meridian system. When the Law of Attraction teachings came out in 2006, I knew it was leading the herds over the cliff, so to speak, as half-truths are more dangerous than lies. I picked it apart and came out with the 'deeper secrets', but still this was not the answer. Throughout these years, I explored potentials from diving deeply into metaphysics and inner realms. In 2012, reality changed in significant ways, and the path to liberation started to emerge. The meridians--both ordinary and extraordinary--played a very big part in our liberation, but I was mssing pieces of the puzzle. In 2013 I found the work of the great mystic and seer Almine, who was talking about higher hormones at the time, and the meridians. I immersed in her work 24/7 for the next 4 years, and found the gems I'd been looking for. Through her immense body of deeply esoteric work is to be found all the tools for full liberation to manifest a self-sovereign life of grace that is free of struggle and disease. Finding Almine also ended my quest for effective tools, as what she brought forth came directly from Source--not from intermediary spirit guides who can be from questionable realities. Her modalities are untaintable, infinite in depth, and peerless--they evolve with us as we push the boundaries of the created cosmos. Through them, we can leave linear time and the law of karma and compensation, and move to a reality that is impelled by inspiration and has no limitations and no limits to what may be manifested. Now that the path is clear, I am developing programs that can be understood by anyone, as the simplicity can be distilled from the rock solid complex metaphysics. My teachings have gone from being accessible to a small group of dedicated students to being accessible and powerful for anyone seeking healing and liberation! This is my commitment moving forward! The Whole Being Flourishing initiative is part of a larger vision of bringing liberation to all who are earnestly seeking to change their lives. It is for people at all levels on their healing journey. 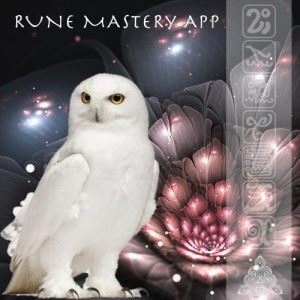 I am a Grand Master of Belvaspata, Grand Master of the Runes, and I train healers in both modalities. I am steeped in Fragrance Alchemy and their impact on the meridians and chakras, and am beginning to teach this as well as a new way to healing through entrainment. Also an acupuncturist, Rapid Eye therapist, and psychotherapist, I offer private healing sessions in person or online. For other offerings on this platform, go to the page The Larger Vision. Healing sessions offered in a package, and is suited to those who are ready to step out of the stories of separation. A most powerful system of guidance and activating power to evolve the body and manifest a life of grace...I offer training, and initiation into Mastery and Grand Mastery levels. This is a modality that is so powerful, it can redefine your practice as a healing practitioner and take it to a next level. Contact me if interested in the next training session. Follow the cosmic pulse with powerful daily messages (blog and podcast), rune integrations, and support materials to manifest a life of grace...This venue offers daily, practical support--hand-holding as we walk the cutting edge of what is possible. Runes (see above) are fully integrated into the materials. The Shop has some of my training programs listed. Live interactive programs to activate and master the 8 sub-personalities of the psyche, and the 12 radiant powers of the body to manifest a higher life....Not to be missed for anyone serious about liberation into the real, and manifesting life outside the law of compensation.